An 11-year-old girl went missing in Altadena and authorities asked for the public’s help Friday in locating her. 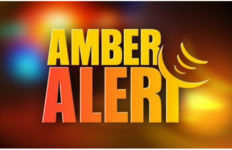 Cristina Perry-Ross was last seen about 4:45 p.m. Thursday inside her group home located at 3082 Thurin Ave., and during a routine check a short time later, staff members realized Cristina had run away, according to Deputy Marvin Crowder of the Los Angeles County Sheriff’s Department. Perry-Ross is black, 5 feet 3 inches tall and weighs 100 pounds, with black hair and hazel eyes, Crowder said. She was last seen wearing a black sweater, black sweat pants, black beanie and black shoes. 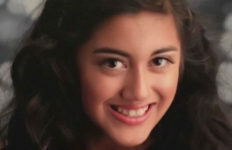 She has run away in the past, as recently as Wednesday, and has been known to frequent Old Town Pasadena and areas of West Covina, Crowder said. Anyone with information on her whereabouts was asked to call Sgt. Parkhurst or Detective D. Taylor of the sheriff’s Altadena Station at (626) 798-1131.